Say you have been given an important project to complete at work. The assignment is to take over managing a client that isn’t reaching their potential, figure out the problem and find the best solution. How do you handle this project? Do you just start suggesting alternatives right away or do you do some background research first to make sure you know everything about the client before making changes? Do you work on the project yourself or do you delegate key parts of the assignment to a coworker you’re not sure you trust? Do you go home, pack a weekend bag and camp out in your office with meal delivery until the project is done? Do you work alone or do you recruit every consultant you think would be able to help? What if this project was the rest of your life? Shouldn’t your life be the most important project you work on? Shouldn’t you integrate some of those best practices you use at work so that you can design the best life possible for yourself? 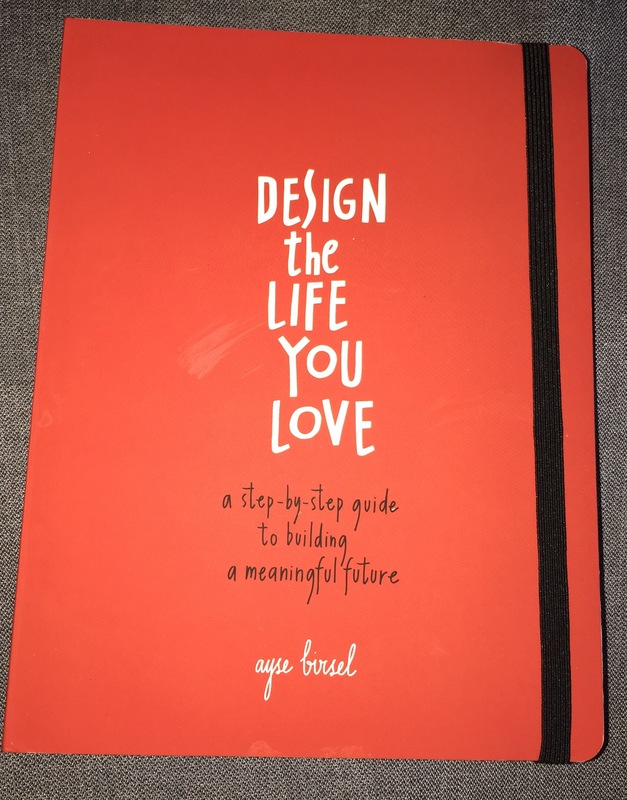 Design the Life You Love by Ayse Birsel is not a workbook. It’s a playbook! 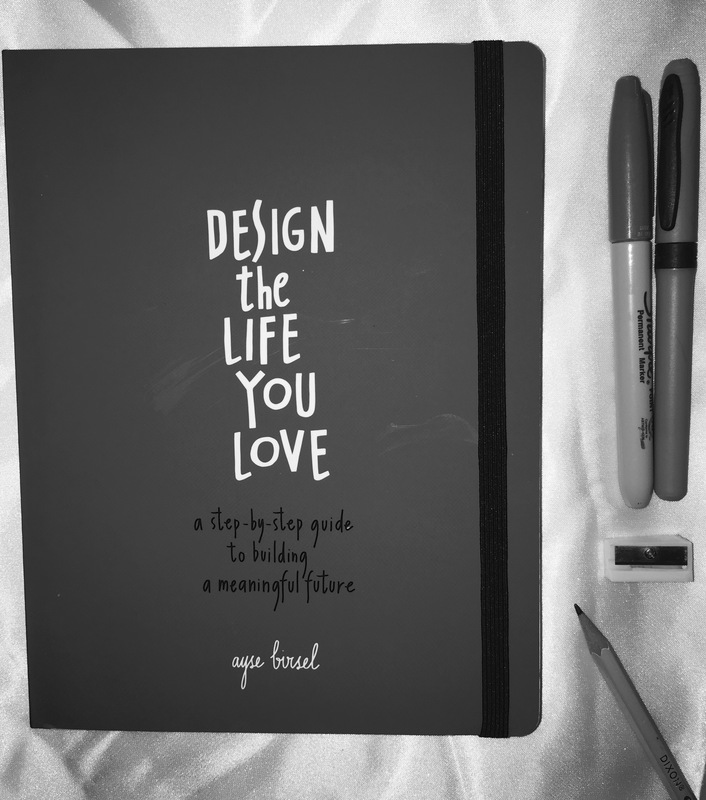 Well, it can be a workbook but it’s an opportunity to design the life you want so if that’s a life with playfulness, playbook it is. I got into the book because it’s not just another self-help book to read the whole way through and then see how you might be able to apply it to your life. In fact, the objective is to work on the book for 20 minutes per day and then leaving it for the next day so you can come back with a new perspective. I love the way the book looks – it looks just the way I imagine a designer’s notebook should look, it has a journal-like appearance, the entire book is printed in a handwriting font (which is both a plus and a minus for me) and the elastic on the side just excites me. I love the different creative forms and the book encourages me to draw more than I normally would – I normally express myself with words but when Ayse recommended that I sketch (not write) a metaphor for my life, I found it was strangely thrilling and useful. Gripes: I only have one. Some of the handwriting fonts could be a little challenging to read in some instances. For example, I had to turn to the back cover to figure out the writers last name. 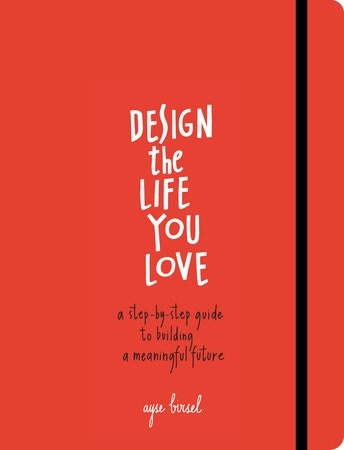 But the font for the author’s name is not used anywhere else in the book so that’s ok.
Click here for more info about Design The Life You Love. Haha. You’re so right, Simon. I’m all for that kind of idea too. Thanks. I hope you have a wonderful one also.